Want it by Tuesday 30th April? Order within 2 days, 18 hours, 38 minutes and choose Next Day Signed For (Special Delivery) at checkout. 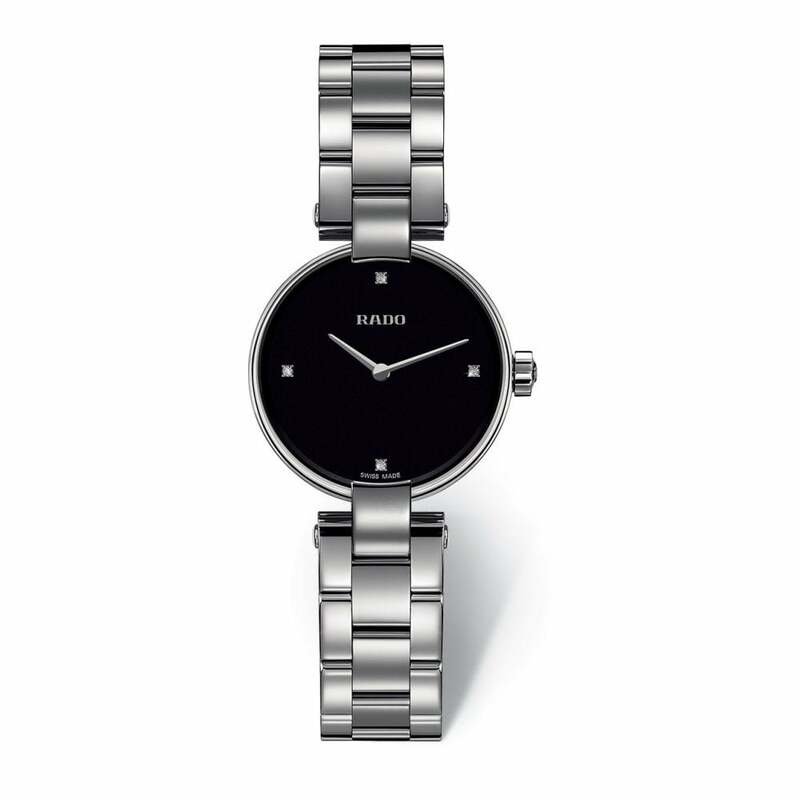 Ladies Rado Coupole Swiss Quartz watch with a stainless steel case and bracelet, black dial and comes in official Rado packaging with a 2 year international guarantee.The characteristic round dial covered by the curved sapphire glass and distinctive lugs makes the Coupole collection an elegant everyday companion, perfect for any occasion!